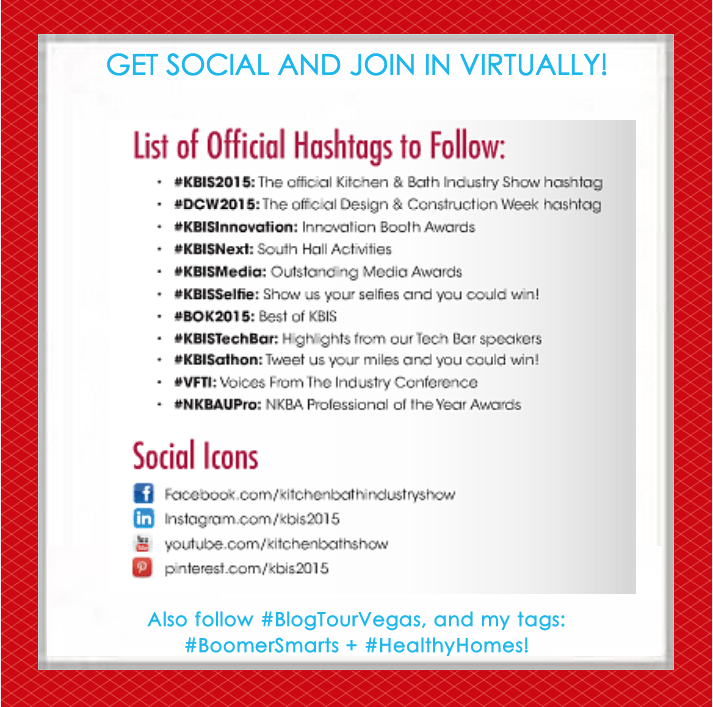 Join Me at #KBIS2015 + #BlogTourVegas -Virtually! It’s Showtime! Join Me at #KBIS2015 – Virtually! The excitement continues to build for the National Kitchen and Bath Association’s annual tradeshow, sponsored by K+BB magazine, in Las Vegas, starting next Tuesday, Jan. 20th! Hi Mitzi’s readers! This is Leslie writing for Mitzi today, as she’s busy working and preparing for her visit to #KBIS2015 as part of this wonderful group of her fellow designers and bloggers shown in the picture below, joining her on Modenus’ Blog Tour to Las Vegas for this exciting show! Atlanta designers Kelly Cole + Joann Kandrac of @KandracKole, shown together in the upper left, wrote a great post on their blog yesterday introducing everyone you see in the picture below in more depth, and if you’d like to read that, please click here. Everyone is looking forward to attending this tradeshow and Mitzi is especially looking forward to bringing you, readers, all the products from this show that she knows you, her fellow baby boomers, really want to see: chic, glamorous comfortable, functional products that will help you cook healthier, create kitchens that REALLY work for your evolving needs, and products for your bathrooms, too, that help you feel clean, sensual and beautiful, but also safer – to help prevent trips or falls. She’ll be sharing inspiring, fresh, new products that make your life easier and stress free, so you have more time to do whatever it is that YOU love to do – products from thoughtful manufacturers who have heard the desires of America’s 78 million baby boomers [ 38 million of whom are women! ] and which have now been specifically engineered to help you stay in your own homes as long as you would like. It would not have been possible for Mitzi to have the opportunities she is going to have without being part of #BlogTourVegas, and she wants to thank all the sponsors below. 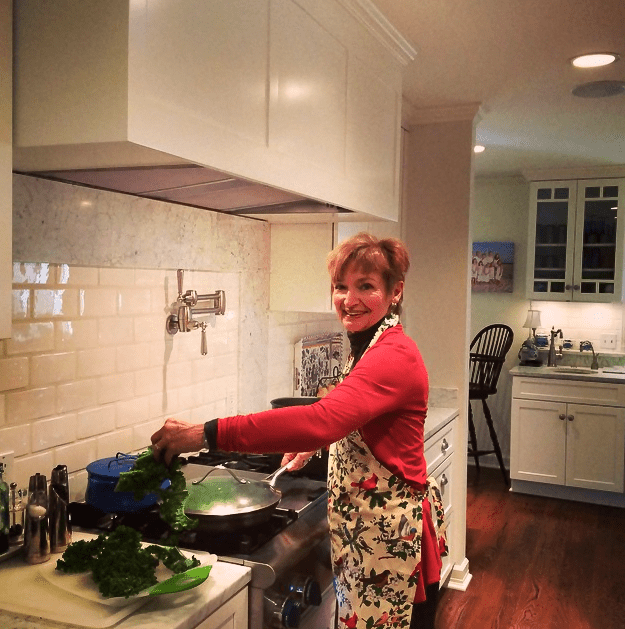 Mitzi, as you, long time readers of her blog know, is a real cook, devoted to healthy cooking, and cooks in her kitchen on a Thermador range. Mitzi asked me to say a special thank you in this post to you, @Thermador, for your conversations already about this, with her on Twitter, before the show starts. She appreciated you noticing! 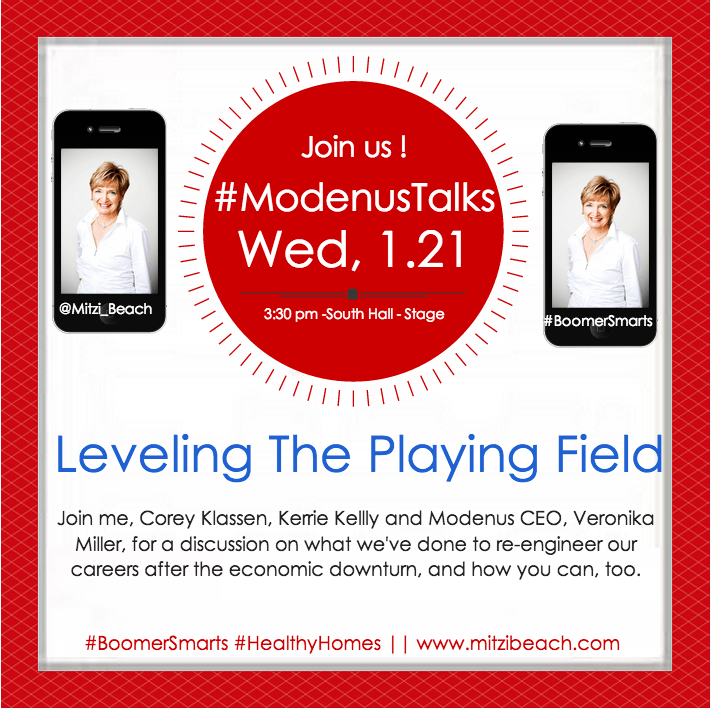 #BoomerSmarts + #HealthyHomes on Twitter, Facebook, Pinterest, G+ and Instagram so you can follow along with her, virtually, and see the show through her eyes. For those of you who are new to Mitzi’s blog, or may meet her for the 1st time at the show, here are two of my favorite pictures of Mitzi in her own beautiful, healthy kitchen and one picture of the outside of her home that she shares with her husband Bob, and their sweet dogs. Mitzi and Bob bought this home and remodeled it from the ground up to be a *living laboratory* for what Mitzi teaches you about how to live #BoomerSmarts so you can stay in your own homes as long as you would like. If you will also be going to the KBIS show, make sure to ask Mitzi about the story of how she and Bob came to design and build this special home after their 3 children left home, but, if you’re not coming and would like to know more, Mitzi has video channels on both You Tube and The Design Network where she shares wonderful healthy living, cooking and design tips for all of you who are interested. 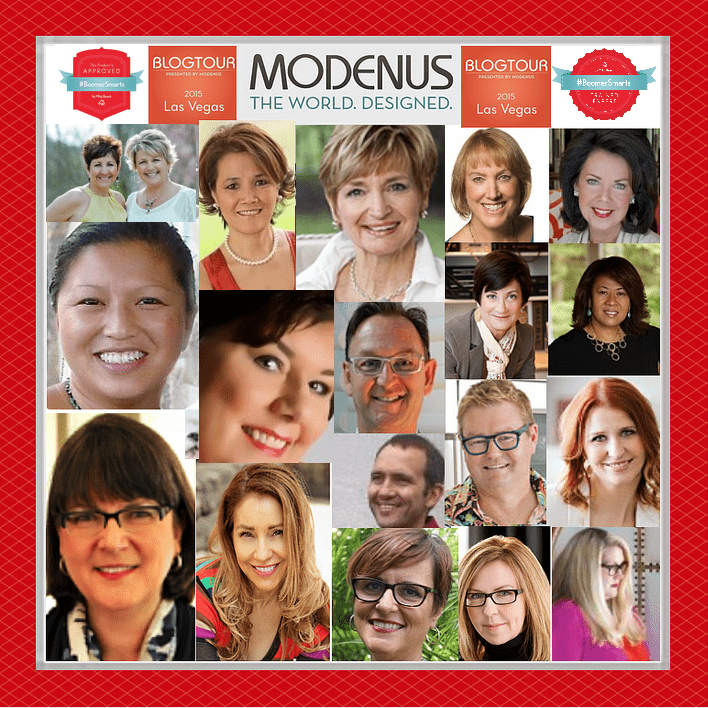 #BlogTourVegas, readers, is the brainchild of its founder and CEO, Veronika Miller, a former designer herself, who had the brilliant idea to start an online platform, http://modenus.com, – a comprehensive digital platform for all things design. 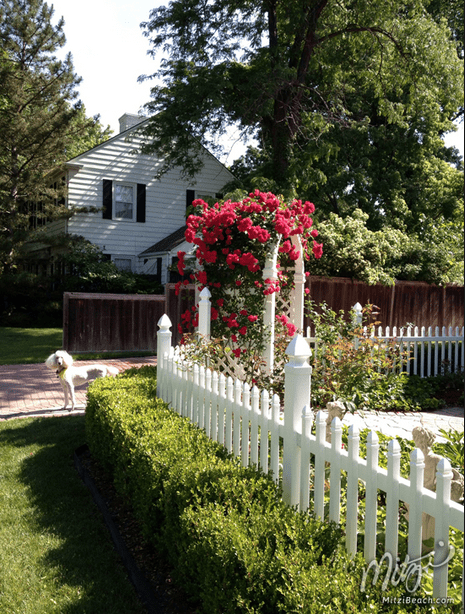 Since you, Mitzi’s readers, are America’s baby boomers, if you are seeking ideas for your own homes, be sure to have a look at her site, it’s beautiful and you are sure to find lots of inspiration there. One of the vendors not a sponsor of #BlogTourVegas, but that is exhibiting at #KBIS2015, that Mitzi is also looking forward to visiting in her spare moments, is ADORNE lighting distributor, Legrand North America. Legrand was the first major brand to underwrite and sponsor one of Mitzi’s onsite CEU classes -held last fall at the Houston Design Center in the beautiful kitchen showroom of past National NKBA president, Peggy McGowen. It was on #Boomer Homes Of The Future. Mitzi now offers her popular classes online, 24/7, here. Speaking of her CEU’s and online classes, Mitzi has also now developed this online badge for those who’ve completed the most extensive of her online courses on designing for you, America’s baby boomers. Readers, if you see this badge on a real estate agent or interior designer or decorators’ own website, or in their marketing materials, this is your sign that they’ve invested to be specially trained by Mitzi to help YOU stay in your own homes as long as you would like. Mitzi will also be listing on her own website, the names and addresses of those who are using her badge on their own sites and have completed her extensive training, so you, readers, will be able to find them easily on https://mitzibeach.com, in your local areas. Please seek out these trained experts whenever you can if you’re looking for someone who really understands and wants to help you, if you’re a boomer, remodel your own home, or a home for your mother, father, grandmother or grandfather. In addition to this badge, readers, Mitzi has now begun working with manufacturers – many of which she will see at #KBIS2015, who are interested in having her review their products to see if they meet her criteria for being #BoomerSmarts for your homes and then, if they do, licensing her badge for use on their own websites and within their own marketing materials to reach you. 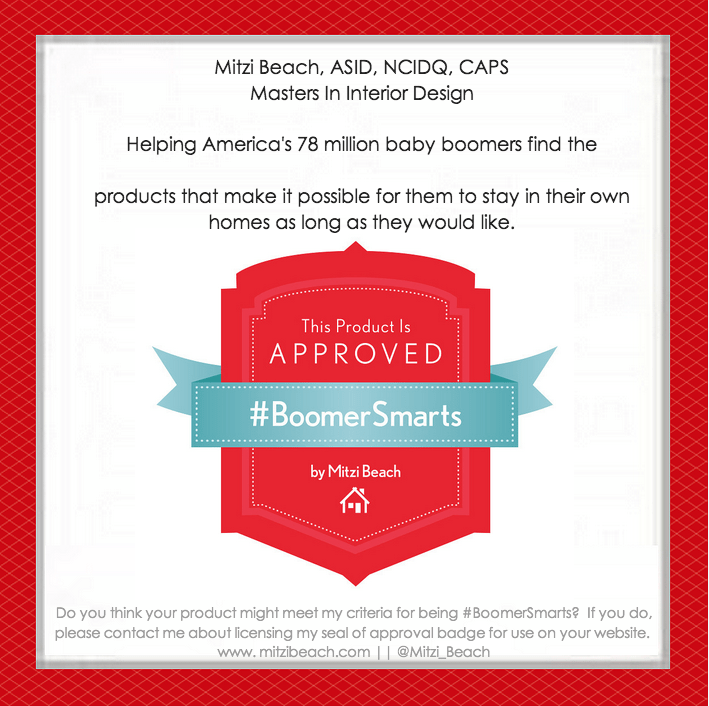 Readers, if you see this badge on a product on a manufacturer’s site in the coming year, know that Mitzi has reviewed that product thoroughly for you and that you can trust this manufacturer to have designed and developed a product for you that meets her criteria for being #BoomerSmarts for your homes. In addition, next week, Mitzi and her fellow #BlogTourVegas goers will also be involved in many events while they’re at KBIS, and you can follow along, virtually, if you’re social media saavy so you can see everything – just as if you’re there, too! Here’s a handy guide to help you know what hashtags to follow! Not sure quite yet what a hashtag IS? It’s just something that you can put in a search bar to see all the conversations taking place around a particular topic or event. 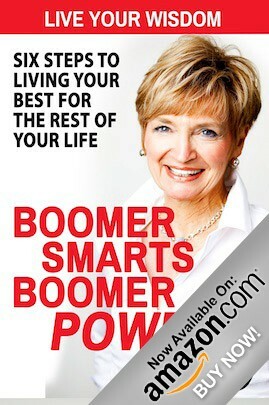 For instance, if you use Facebook, go to the top of your Facebook Page, and type in: #BoomerSmarts, just like that. 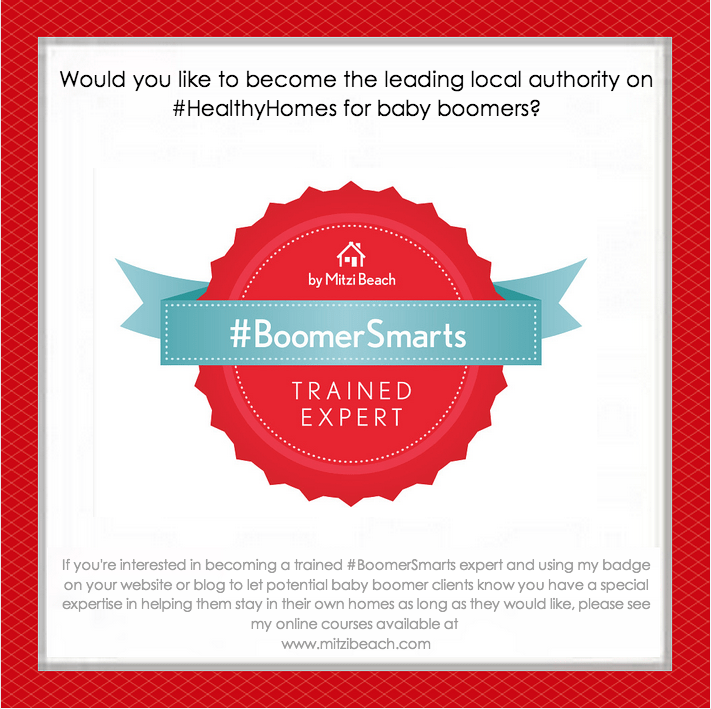 All of a sudden, you will be able to see every Facebook Post that anyone has made using Mitzi’s trademark: #BoomerSmarts! It’s that simple and you can do that on any social media site you use. So, follow along virtually and join the fun! 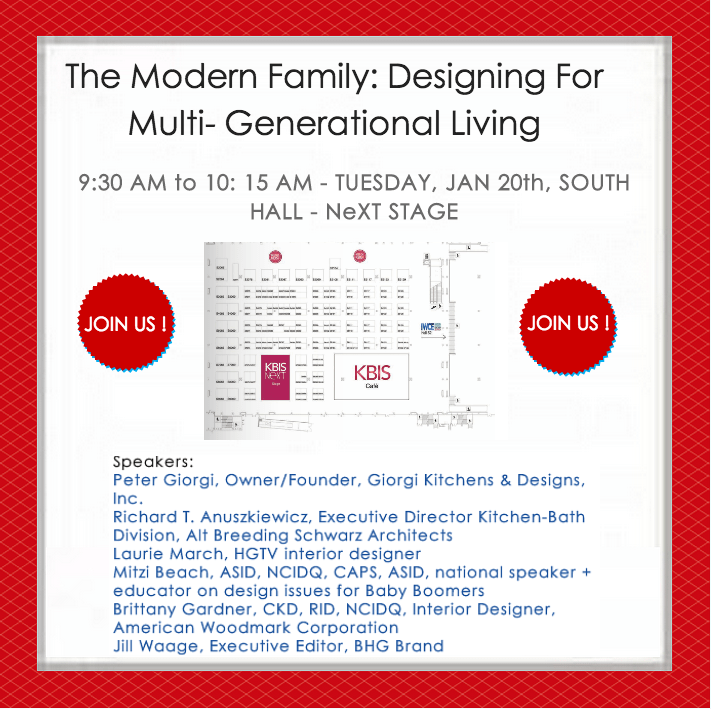 The first event she will be speaking at during #KBIS2015 is at 9:30 am on opening day called, THE MODERN FAMILY – DESIGNING FOR MULTI GENERATIONAL LIVING. The second speaking event Mitzi will speak at is the following day, Wednesday at 3:30 pm. 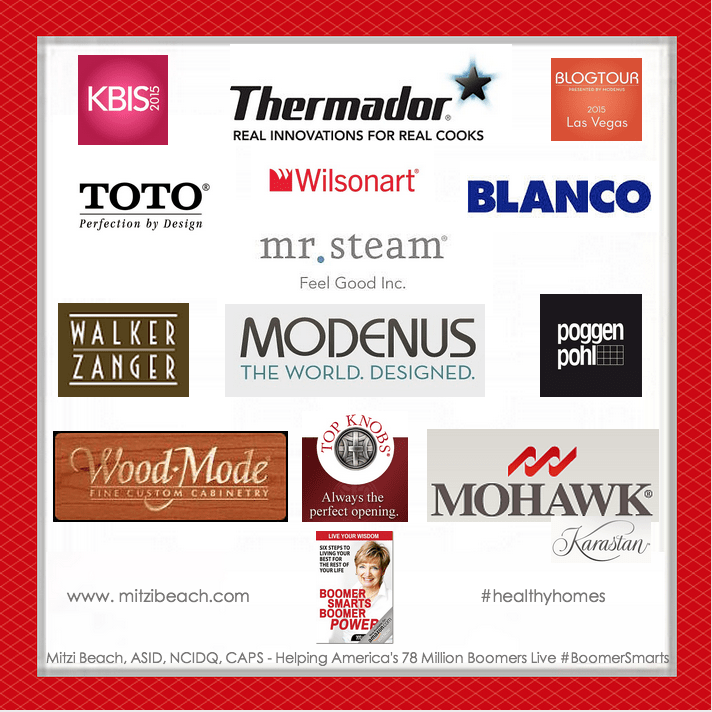 Lastly, dear readers, if you have not yet entered Mitzi’s wonderful giveaway for you, in partnership with Range Hoods, Inc. , we invite you to do so! It is running on her Facebook Page at http://facebook.com/MitziBeachFans and to enter, all you have to is leave Mitzi a description of YOUR IDEAL HEALTHY KITCHEN! The post is pinned to the top of her Facebook Page so if you click, you will see it and can enter! Mitzi will choose her winner early next Friday morning, January 23rd, and notify her winner via private Facebook Message on that same day – after returning from #KBIS2015 and #BlogTourVegas. This giveaway closes for entries on Thursday , January 22nd at 12 ET, and we will announce her winner here on the blog, on Tuesday, January 27th, and Range Hoods Inc. will, too. We’d also like to give special thanks to our friend, Brandon Smith, who included Range Hoods Inc. ‘s giveaway with Mitzi on a wrap up post he wrote, sharing several of the kitchen and bath related giveaways that are going on right now, associated with this show. Mitzi and I think you will love entering all of them, readers! and she’s the best example I know of someone who authentically lives that way. Lastly, please watch for a refresh of her homepage on https://mitzibeach.com before the show starts + a new edition of her book, *Boomer Power, Boomer Smarts*, coming out later this year. S.paces M.indset A.ttitudes. R.outines T.ogetherness S.pirituality. This entry was posted in Cooking, Design, Lifestyles and tagged #BlogTourVegas, #KBIS2015, #ModenusTalks, asid, baby boomer health, Baby Boomers, boomer bathrooms, Boomer Power, boomer smarts, BoomerSmarts Wisdom, healthy cooking, healthy kitchens, KBIS, KBISNeXT, Mitzi Beach, National Kitchen and Bath Associations Show, safety in the bathroom, the best blogs for baby boomers, top blogs for baby boomers, wellness in design. Bookmark the permalink.